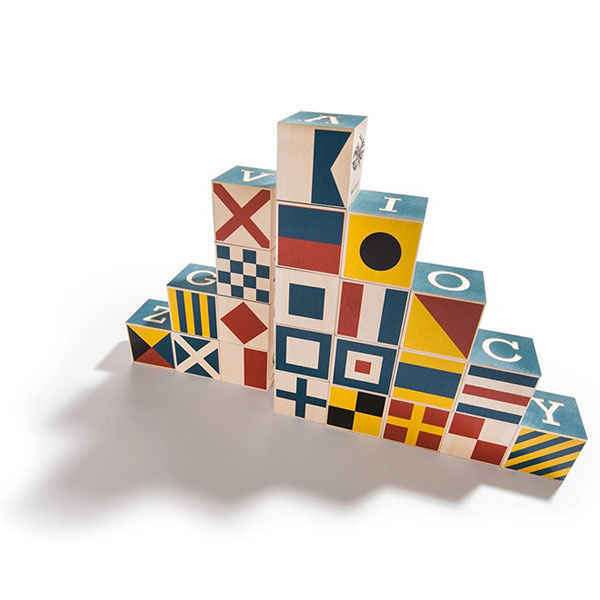 These alphabet blocks with nautical flags on them are quite nice-looking. 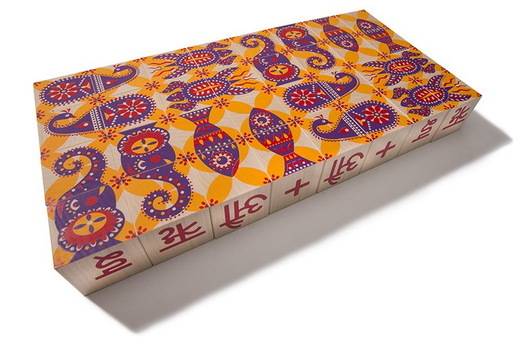 In fact, many, many of the alphabet blocks by Uncle Goose are nice-looking. Like these Hindi blocks. Oh man, gorgeous. In fact, many non-alphabet blocks by Uncle Goose are also gorgeous, including the Eames House and Neutraface blocks they've done with House Industries, when I didn't know who Uncle Goose even was.